The extraordinary life of Janet Vaughan, who changed our relationship with blood. 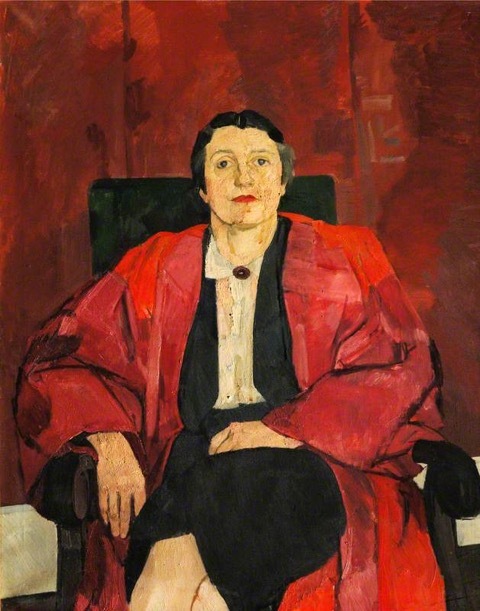 The plaque saying “Vaughan” was on the exterior wall of my first-year student residence, a building named after Vaughan, Dame Janet Maria, the woman in the portrait and principal of Somerville between 1945 and 1967. She was still alive when I was an undergraduate, and, according to her obituaries, was known for driving around Oxford in a yellow Mini; for always dressing in tweeds; and for going to the Bodleian Library even in her late eighties and inadvertently annoying other readers when her hearing aid hummed and whistled. But when I arrived at Somerville, and was assigned to Vaughan, I thought only with some relief that everyone would finally be able to spell my Welsh third name, usually a puzzle even to English speakers. I did not think back to my two surgeries, or to my birth, where bags of someone else’s blood and plasma would have hung from hooks and saved my life, and thank Janet Vaughan for her role in helping to make that standard medical practice. But I should have. Blood. We all have it, this liquid that is nearly half water, red in color, that “circulates in the arteries and veins, carrying oxygen to and carbon dioxide from the tissues of the body,” an Oxford Dictionary definition. Blood is common, ubiquitous, inevitable. But it is also so much more than its dictionary description. It is more expensive than oil. Every two seconds, someone needs some. Every day, millions of people receive blood from anonymous strangers in a wondrous procedure that has become banal. In the United Kingdom, where I live, the system of widespread donation of blood by anonymous volunteers, and its transfusion into people who need it, dates back not even a century. The National Blood Service began as the Blood Transfusion Service in 1946; the National Health Service was founded in 1948. But humans have been curious about blood probably since the first human bled. The first date on the history timeline of the National Blood Service is 1628, when William Harvey demonstrated that blood circulates around the body, but the practice of blood-letting is usually dated back to Egyptians of 3,000 years ago. Letting out blood eased the imbalance of the four humors— blood, phlegm, black bile, yellow bile—that governed the body. Transfusion—the transfer of blood from one creature to another—is also ancient. Romans, wrote Pliny the Elder, ran to drink the blood of dying or dead gladiators, to gain some of their strength and force. Blood was also thought to carry personality, so when Jean-Baptiste Denis, doctor to Louis XIV, treated a feverish 16-year-old patient with a blood transfusion in 1667, he thought the “mild and laudable” blood of a lamb his best bet. The patient recovered, though a madman treated with calf’s blood did not. Transfusion was largely avoided for 150 years. The Victorians tried, but humans given human blood kept dying, and only when Karl Landsteiner discovered blood types in 1909 (and that some mixed fatally) did transfusion become acceptable. Transfusion is now unremarkable. A car accident victim can require 100 pints of blood. Coronary bypass surgery can require blood from 20 donors, while a premature baby can be saved with three teaspoonsful. 15.7 million pints of blood are donated every year in the U.S., and more than 100 million globally, according to the World Health Organization. But in 1920s Oxford, when Janet Vaughan was a medical sciences undergraduate at Somerville, the speedy transfer of blood from one human to another en masse was unthinkable. The slums introduced her to real poverty, but also to blood, her lifelong interest. Anemia was endemic, and by the time she qualified, she began to wonder why the standard cure for anemia was arsenic. She was a pathologist by now: her mother had died, and she thought her widowed father needed her. Pathology, with a more stable routine than doctoring, would make her available for him. But a pathologist can still read. She was trained at Oxford, and at Oxford you are trained to read ferociously. So she had read of the work of Dr. George Minot, an American physician who had been treating pernicious anemia with raw liver extract. Vaughan thought this made more sense than arsenic, so she approached her professor of medicine, a man who did not see a woman who was young and think both those things to be handicaps. “I went to the professor,” she told the BBC, “and said, can we test it on a patient?” He said no, but she could try it first on a dog, if she produced the extract herself. He gave her some money, and off she went to collect as many pails and mincing machines as she could. She did the rounds of her friends. 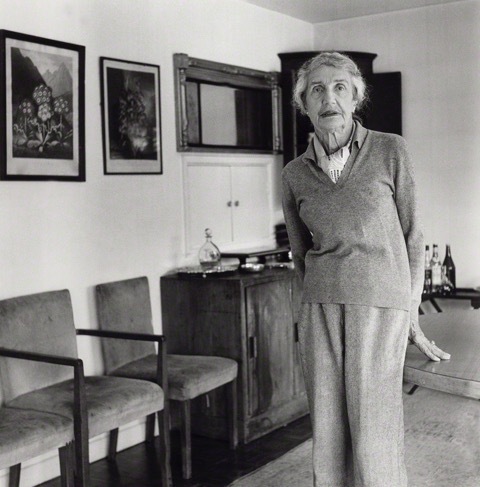 She borrowed Virginia Woolf’s mincer, and minced and minced. It became a scene in Virginia Woolf’s “A Room of One’s Own,” Janet with her mincers, Minot’s paper propped on the kitchen table, a parody of expected domesticity. The extract was fed to two dogs, who sickened. Janet said, no more dogs, and took the extract herself. “The next morning when I came back to the hospital there were all the professors of medicine, chemistry, surgery, waiting on the doorstep to see if I was still alive.” It was fed to a patient, “a nice old labouring man.” The patient survived, and of course a senior professor took all the credit for the miraculous new treatment. Janet didn’t much mind: she had other things to do. Her father had remarried, and she could travel, so she got a Rockefeller Scholarship to Harvard, where there were no women. She wasn’t allowed to work with patients and she wasn’t allowed to work with mice either, for when she ordered some Boston mice, a famous lab variety, she was told there were none to spare. No matter. She sourced some “excellent Philadelphian mice,” but Harvard didn’t allow them. She ended up with pigeons, using them to do groundbreaking research on vitamin B12 in blood that wasn’t fully acknowledged for 50 years. She called them her Bloody Pigeons. How I love the brisk nervelessness of this woman. Some of it comes from privilege. But much of it is her own, as much as her fictional room was. She had the confidence to make fissures in patriarchal concrete, but also the confidence to get married, because she wanted to. With her husband, David Gourlay, she moved into Gordon Square in Bloomsbury, and Vaughan went to work at a hospital where no one spoke to her, and physicians asked for her advice—by then her reputation was significant—only by letter. She treated more anemic patients with liver, though the patients then said, “don’t give me any more of that medicine, doctor. It makes me hungry and I can’t afford [to eat].” She taught her patients to fight authorities to get extra milk, for the extra iron it would give them. She taught her students that to practice medicine, they must learn to deal with the public assistance board as well as the hospital dispensary. She had two daughters. She was busy, and happy. But war was coming. First, it came to Spain. Her Bloomsbury friends went to fight, and Vanessa Bell’s son Julian was killed. Vaughan began to work with the Committee for Spanish Medical Aid and joined the Communist Party, though she soon lapsed. She said that no one seemed to notice. She sold possessions to raise money for Basque children; she spoke on soapboxes at street corners. She welcomed to London Dr. Duran Jorda, an exceptionally gifted Spanish hematologist who had worked out how to store large supplies of blood so it could be used in a war situation. By now, taking blood from one human and putting it in an another was understood: but storing that blood so it didn’t spoil was not. Vaughan read that Russians had also stored blood, taken from fatal road accidents and kept at low temperatures, then used for civilian needs. She noted all this, and she kept it safe until 1938, when the Munich Agreement was signed, allowing Nazi Germany to annex Sudetenland. We think now, in our era of wars that only happen elsewhere, of 1938 as safely pre-war. But it can’t have felt like it. A bombing blitz on London was seriously expected to follow Munich. Someone came to Hammersmith and told the medical school to be ready for 57,000 casualties in London that weekend. And Vaughan realised, immediately, that casualties would need blood. They would need a lot of blood. In the Wellcome Library in London, I find a propaganda film published by the Ministry of Information in the 1940s, a time when neither “propaganda” nor “Ministry of Information” sounded sinister. The film is called “Blood Transfusion,” and is narrated by accents that now sound cut-glass and royal, but then were normal. It tells us that blood transfusion was widely used in the First World War on the Western Front, including by Dr. Oswald Robinson of Toronto. Donors were easily on hand, and by then it had been understood that adding sodium citrate to blood stopped coagulation and made blood easier to store. The film moves to 1921, in Camberwell, where we meet Mr. Percy Oliver, leader of a local branch of the British Red Cross society. In 1921, there was no mass storage of blood, nor any organized recruitment of blood donors. Blood donation was done, but ad hoc. The technical term was “on the hoof.” Oliver’s actions helped to change that, when the telephone rang on an October evening in the south London suburb of Camberwell, and someone from King’s College hospital asked for urgent blood donors. Oliver volunteered, and so did all the nurses on the committee. From this one call in 1921, Oliver set up a network of blood donors, an office with donors’ details on index cards and a telephone that was always manned, and he called it the London Blood Service. Donors were sought and their blood used immediately. The service dealt with 737 calls in 1926, 2,442 in 1931 and by 1938 nearly 7,000. Oliver’s model was copied and spread, so that by the war, most parts of the country could reach a donor panel. It was an amazing achievement from a man who still worked full-time at the local council, and from each donor who gave some of their eight or nine pints of blood, freely and for no reward. But in a war, it would not do. Janet Vaughan did not agree, and Janet Vaughan did something about it. The bombs did not fall, and Vaughan’s team diverted the blood collected at Hammersmith to hospital use. But war was going to come so Janet began planning. The minutes of the meetings of the Emergency Blood Transfusion Service exist in the archives of the Wellcome Library, and they are as rich as blood. The Service was actually a gathering of Vaughan’s peers from various hospitals, held in the Gourlays’ Bloomsbury flat. The meetings were always in the evening, after the day’s work was done, and they lasted hours. I picture these meetings. Janet Vaughan would be wearing a tweed suit. She would be kind but brisk. Later, someone described her as “down to earth but like air on a mountain.” The other doctors might have bow ties. They would smoke pipes. They would drink tea, or gin and tonics, and eat crumpets. They would do this while deciding on the size of bottles, or what kind of armrests to put on the “bleeding chairs,” and they would change modern medicine. London needed blood depots. The committee decided on four, one for each quarter of the city; two north of the river, two south. They would be near hospitals, but safely out of the city center, in case it was bombed. The service needed money, so they worked on a budget, which was doubled on the advice of Vaughan’s boss. 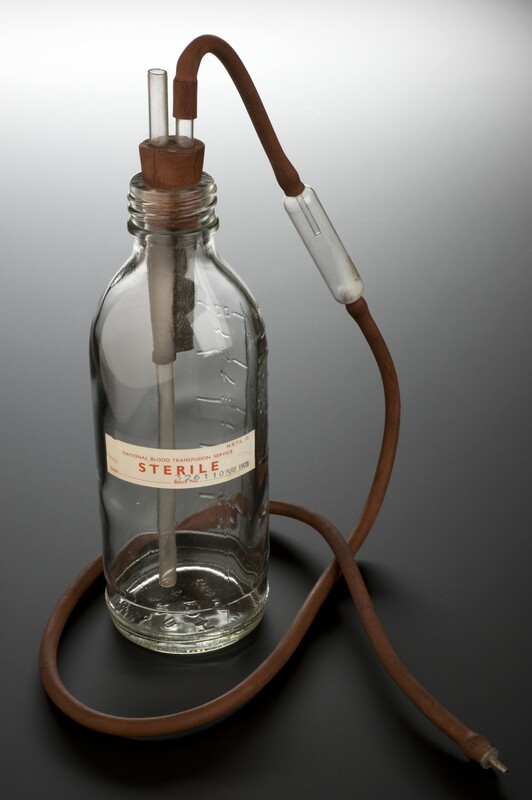 The precise methods of storing blood had to be decided upon: On April 5, 1939, the first meeting, the minutes record a suggestion that 50cc of 3.8% citrate containing 0.1% glucose should be added to every 450cc of blood. Donors, they thought at first, would be Group O only, the universal blood type that can be safely transfused into most people, and there should be 9,000 of them per depot. Other issues arose. Of course donors must be screened, as much as circumstances permitted. Syphilis was a worry, particularly as promiscuity always rises in wartime. The practicality of testing all donations for syphilis was one issue: whether or not to tell unwitting carriers that they had been infected by their spouses was another. The bottles, though. 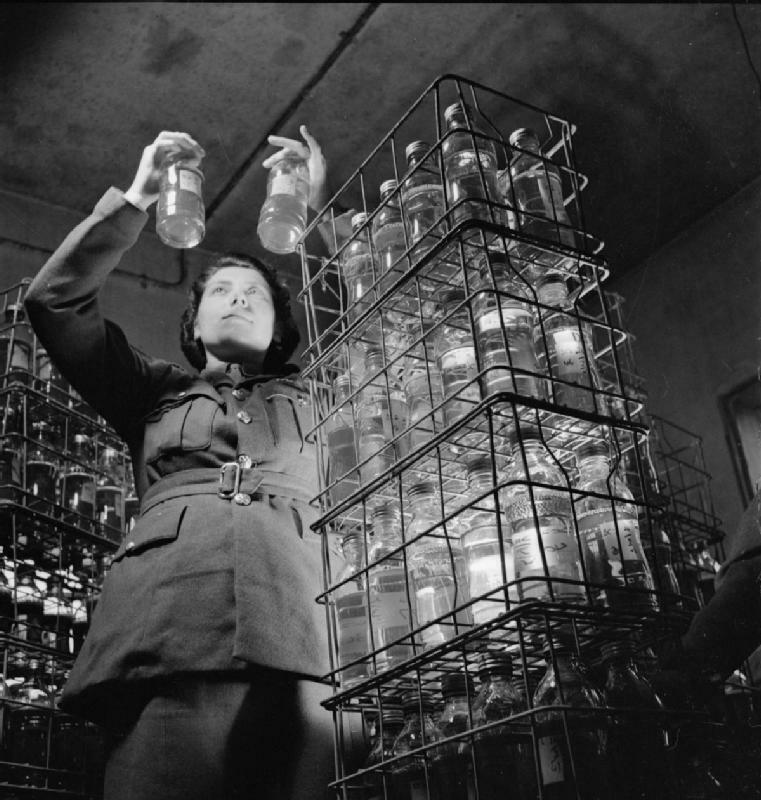 Amongst all calculations detailed painstakingly in the committee minutes over the months—8 million Londoners, therefore 2 million people per depot, 65,000 estimated daily casualties therefore 10,000 per depot; and from wanting only O to accepting all blood types—the bottles were vital. Without the proper storage vessel, all the sodium citrate in the world wouldn’t keep blood safe, or make it portable. The choices were few but they were tricky: a Beattie waisted type? A whisky cap on a United Dairies bottle? A McCartney screw cap on a United Dairies bottle? Or a modified McCartney bottle of the L.C.C. type? “The children complained that the flat was littered with old bottles,” wrote Vaughan in her unpublished autobiography Jogging Along. Blood transfusion bottle. Photo via Wellcome Trust, Wikimedia Commons. Through the summer the deliberations continued. The committee was an informal one, but then Vaughan sent a memorandum about their plans to Professor Topley of the London School of Hygiene, who was known to be organizing emergency services. Her boss heard of it and called her “a very naughty little girl.” As if that would stop her. By the second week of June, they had decided to use Wall’s ice cream vans to transport blood. They would call up registered donors by using runner boys. The bottle would be a modified milk bottle with a narrow waist and an aluminum screw cap lined with a soft rubber disc. This became known as the MRC bottle, after the committee was taken over by the Medical Research Council. Janet was to run the northern depot, in Slough. She set off alone to see the medical officer of Health (M.O.H.) to find premises. “How fortunate I was to go to Slough where everyone—mad as they thought me at the time—was more than willing to help me.” There was an unshackled energy about Slough that appealed to this child of boarding school, Oxford and Bloomsbury. She thought it “a frontier town,” grown up after the First World War around a vast trading estate, full of migrant workers “with no settled traditions and customs to be disturbed.” She was directed to Noel Mobbs, Chairman of the Great Trading Estate and of a social center. Mr Mobbs did not believe a war was coming, but he said the depot could move into the social center, that there was space for cold rooms to be built. There was also a bar. Medical technician from British Medical Services during World War II. Photo via Wikimedia Commons. The bleeding of donors was undertaken in the depot and by mobile teams sent out into the surrounding small towns and villages where they set up a temporary bleeding center in a town hall, factory restroom, church hall or village public house. Janet was very proud of the quality and sterility of “the bleed.” At first, blood was requested by telephone. But “they soon learnt that Slough could hear and see the bombs falling and would arrive.” The bombs began to drop in the fall of 1940. The ice-cream vans would get near the bomb sites, and deliver their blood to the hospital where the casualties were being taken. This experience created medical innovation: they wore electric lights on their foreheads, like miners, so that if lights were off and blackout was in operation, they could still see where to stick in their needles. By the spring of 1941, when the air raids stopped, they thought the demand for blood would drop, but it didn’t. “Surgeons and physicians had learnt to appreciate the value of transfusion as a therapeutic aid. Throughout the war there was a steady increase of transfusion practice throughout the country. In many cases no doubt the pendulum swung too far and unnecessary transfusions were given, but on the whole the educative value of the war time transfusion service was great.” The war, and the depots of London—along with army depots—taught us the value of blood. The war was ending, and although Vaughan had had five years of death and burns and bombs, when she was asked to go to the Nazi death camp Belsen to research how best to feed starving people, she said yes. She said yes, for science, because people who had been as starved and annihilated as the inmates of Belsen needed emergency nutrition, and the prevailing medical thought was that this should consist of hydrolysates, a strong protein in liquid form. She was driven over the Rhine on wooden pontoon bridges, and she waved to troops returning from the front. She saw hundreds of forced laborers in striped pajamas, spat out from their camps and wandering over the countryside. When she got home, she burned all her husband’s striped pajamas. She did science in hell for a few weeks, then returned to England, and to a job as Principal of Somerville College for the next 22 years. It was academia, but it was no sinecure: of course she rose at dawn to dictate all the correspondence needed to run an Oxford college, before setting off every day to put a full day of work in at her lab nearby. If callers to the college wondered where the principal was, she responded, “Do they think I sit knitting?” She became an expert on radiation, researching the metabolism of nuclear fission on humans and on the rabbits who were her test animals. A fellow scientist called her “our radioactive Principal,” which was more accurate than he expected, because if there was any risk that radiation had leaked, Janet Vaughan would disappear to have a bone biopsy from her tibia. She did this work for decades, and once answered the politician Shirley Williams’s question as to why on earth she was handling plutonium at her age, with “what could be better than for someone in her seventies to do this work: I haven’t long to live anyway.” She fought to have women’s colleges accepted as full Oxford colleges, and she increased the intake of science and medical undergraduates at Somerville. She never stopped being a socialist. She lived long after retiring in 1967. She still wrote academic papers in her eighties. She was a Dame, of course, a member of so many societies (my favorite: The Bone and Tooth Society), and loaded with honorary degrees. She was establishment, but yet not, to the end. Dame Janet Maria Vaughan died in January 1993, aged 92. She had only recently stopped driving her Mini. By then, the Blood Transfusion Service, later the National Blood Service then NHS Blood and Transplant, had existed for 47 years. Last year, it collected 1.9 million donations of blood. British hospitals use 8,000 units every day. Although some parts of blood still only last five days, it can now be separated, stored and widely transported, partly because of a woman named Janet. Rose George is the author of The Big Necessity: The Unmentionable World of Human Waste and Why it Matters (2008); and of Ninety Percent of Everything: Inside Shipping, the Invisible Industry that puts clothes on your back, gas in your car, and food on your plate (2013).